-19 days prior to me listing, a 2 bed/2bath closed at $319,000 vs. my 1 bed/1bath I ended up closing at $315,000. -14 days prior to me listing, a 2 bed/2bath listed for $328,888 in same complex. Wow…this is it! 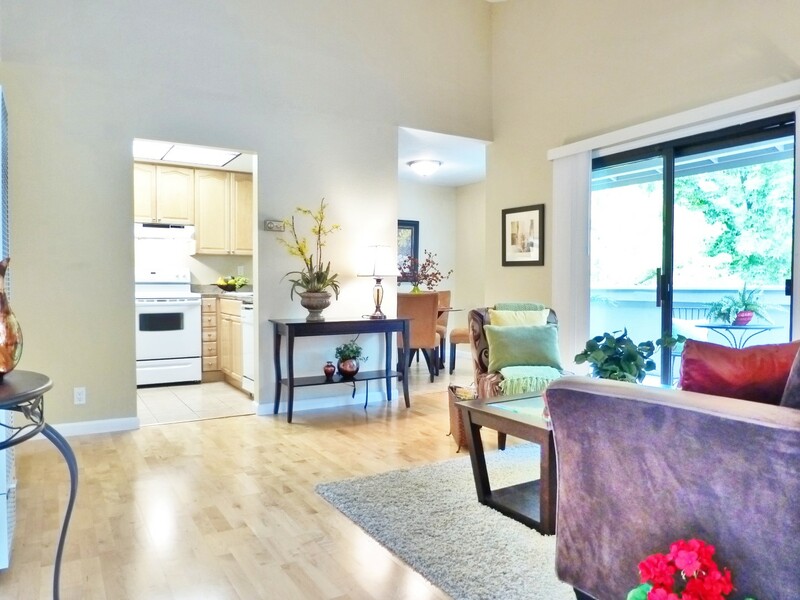 Just listed this amazing 1bed/1bath condo in Blossom Valley for only $309,000!!! Shows like a model…tell all your friends. The hidden gem you have been waiting for. Exceptionally clean with a great location in Blossom Valley. This home offers freshly painted interior with laminate flooring, updated kitchen with granite tile, and maple cabinets with all white appliances included. Plenty of natural light brighten up the living room with vaulted ceilings overlooking private balcony. Large inside laundry includes washer and dryer. Only minutes away from highway 87, light-rail, Starbucks, and grocery. ▪ 1 bedroom with laminate flooring and walk-in closet. ▪ 1 updated bathroom with nickel finish fixtures, and solid surface counters. ▪ Kitchen with tile flooring, granite tile counters, maple cabinets, all white appliances (dishwasher, range-stove, microwave, refrigerator) and breakfast bar. ▪ Living room with laminate flooring, vaulted ceilings, and wall air conditioner. ▪ 1 designated covered parking with additional visitor spaces. ▪ Other features: Inside laundry with washer/dryer, greenbelt in front of unit, attic, extra storage (exterior).